MURREE (92 News) – Snowfall continued in Murree, Galiyat, Abbottabad and adjoining areas for the second day on Tuesday, dropping down the mercury considerably. 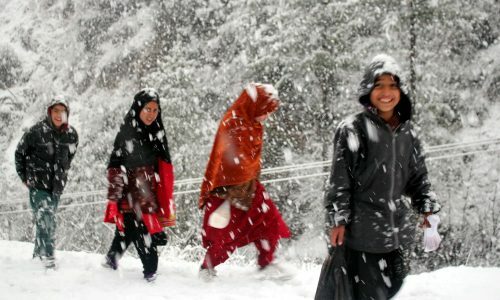 Snowfall occurred at scattered places in upper KP, upper Punjab, Gilgit-Baltistan and Kashmir. Following the snowfall, and people from across the region flocking to the hill station. While most of the families have been from the twin cities of Rawalpindi and Islamabad, some people from as far as Lahore have also made the journey. 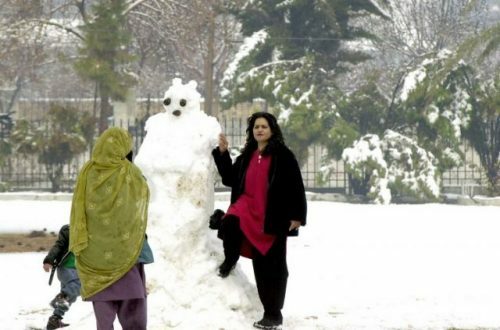 A large number of families reached Murree and began building snowmen, having snowball fights, and indulging in a host of other winter activities.